Tiger Drive really hit home for me in a couple of significant ways. I knew someone who grew up in Nevada with a history very much like WJ’s – a victim of abuse who wound up abusing and selling meth, ran with a hard crowd, and lived in a trailer park. Later he became a depressed alcoholic like Harry, making the same desperate decisions. This book, and Teri Case’s amazing character development, gave me a sense of what it was like for this person whom I cared for very much. Sometimes the book was hard to read because of that, but, as with a train wreck, I couldn’t look away. I also identified with Janice, currently being her age and wanting to go after an old dream (although, being a mother myself, I was angered by her plan of how to make it happen). Tiger Drive is raw and unapologetic; Case puts you in front of a highly dysfunctional family and gives you a magnifying glass. But you wind up rooting for everyone, at least on some level. If you are deciding if you should buy this book, jump in with both feet. Immerse yourself in an engaging story with believable characters and a page-turning “what’s-gonna-happen” plot. Not only that, you will come away with a different outlook on people and life and how we all just want to matter. It’s no easy task for a writer to unspool the complexity of what some call the “human condition.” But novelist Teri Case does it unflinchingly with an uncommon touch. She delves deeply into the mystery of human misery and mercy. The story in ‘Tiger Drive’ centers on the Sloan family, each member clawing at the others to hold onto their own individual dreams and identities, none with great success. I believe every family is dysfunctional to one degree or another. This family is dysfunctional to the extreme. Somehow, though, Ms. Case finds a way with clear-eyed honesty to reveal not only the characters’ flaws but their virtues as well. Is this really Teri Case’s first novel!? I did find ‘Tiger Drive’ a bit slow early on, and I’m not sure why. Maybe it was too heavy on the descriptive for my taste and too light on the thrust and direction of the story. But I would have done myself a disservice if I’d let that keep me from finishing this book. You will, too, if you stop too soon. To lay out this family’s fate-bitten relationships in an empathetic way that compels the reader to go even deeper requires the skill and art of a storyteller. Ms. Case is a storyteller. This book is fascinating! It’s a literary exercise in empathy building as the author takes us into the deep psyches of her outwardly shallow characters. They are a family and individuals you may cringe at if you encountered them in their natural environment, but somehow you are rooting for each of them to overcome their current circumstance and find a better life forward. I loved the Patsy Cline quotes that lead Janice’s chapters and are a constant reminder of the dreams she has for herself. The whole book is full of reflection on the dreams and reality of life, and the hope that one day the two will merge. Very excellent debut novel! The characters are selfish and flawed people, living out an everyday sort of desperation. And yet…these people are relatable on a deeply human level. There are no monsters on Tiger Drive. Just compelling and complex people who make horrible choices for reasons I somehow completely understood. Kudos to Teri Case for painting a nuanced and empathetic portrait of an American family against a backdrop of poverty, addiction, and untreated trauma. As depressing as that may sound, the story doesn’t feel that way at all. Ultimately, it’s a love song to hope and the power of the human spirit. And I found the characters taking up residence in my head, long after I’d finished the book. All the beauty of love and life: Tiger Drive will make you cry, laugy and think. I admit this novel was hard to read at first because of the emotionally rough first chapter, but I quickly fell in love with the characters and found it impossible to put down. It’s a heartwrenching yet heartwarming and funny story of one (and every) family‘s struggle to find happiness and a way to fulfill their dreams, while juggling the complexities of life and difficult relationships. It‘s a love story of sorts and there is a good amount of suspense and mystery. But most importantly- especially in today‘s world- this novel reminds us that we all have our reasons for making the choices we do in life and one should never judge other people, especially the ones we love, until we know their whole story. From the first page these characters draw you in. I went through every emotion from anger to frustration to hope. As a teacher I know these characters. I know too many like WJ who just can’t find their place and make poor choices that have real consequences. Students like Carrie who are determined to turn their lives around but who have more challenges than people would ever imagine. And Janice…the mother inside me just screams for Janice to be the mother her children need. The author, incredibly, was able to draw me in to Janice’s story so she became more than a failure as a mother….she became the representation of a women who has made hard choices, who has set her own dreams aside, who has little control over her own life. I read TIGER DRIVE while women were marching around the world and I just felt sorrow for Janice. She, like so many women, do not feel empowered and carries the burden of a lifetime of hardship. This book is important. This story must be told. A story of people. Real people who struggle and make mistakes and who want more for themselves and their children. This story gave me an insight into the lives of so many of my students who go through the same issues. This story made me cry and gave me hope. Thank you Teri Case for sharing. Because everyone wants to matter. Holy moly I LOVED Teri Case’s debut novel so much! So much that I read it in one sitting while I was in the hospital. I kept shooing my nurse away while she was trying to give me sleeping meds so that I could finish it! Some might think it is sad or depressing, but I found it full of hope and triumph. Moving…insight…beautifully crafted. Her writing style just flows. The scenes were set so perfectly and so descriptively that for me it was almost a tactile experience and not just visual. Seeing, touching, smelling what she described. Her characters are real, flawed, but so very resilient. I just can’t say enough about how much her story moved me. A heart-wrenching story about love and loss, truth and lies, and the resilience one needs to face life under the most difficult circumstances. Following the stories of four characters, we are immersed in a family that has fallen apart. Tiger Drive explores how decisions one makes have lasting effects for the rest of time. Each of the four characters is complicated and sympathetic; even the abusive, alcoholic father has redeeming qualities. The ending wraps up maybe a little too neatly, but I was relieved to come away with feeling of hope for these characters whom I grew to love. Tiger Drive reinforces one of the reasons I read–to experience lives outside my own. The characters’ desperate lives and blistering responses to the chaos swirling around them are so foreign to my own life, that I was at first taken aback. Their struggles caused me to reflect on the assumptions and judgments I may have made when I encountered troubled children and families not only in my teaching career, but also in my life. I hope I have at least been kind. As a human being, kindness and compassion should be my first response. My prime directive. It costs us nothing to “make room for hope, faith, and opportunity” in our hearts. Having one person believe in us can make all the difference. Just finished reading Tiger Drive (literally 30 seconds ago). Am still rolling Harry, Janice, WJ, and Carrie around in my head. Complex people make the most interesting stories, and these characters have complexity in spades! Loved how the themes of hope, faith and redemption were threaded through life circumstances that looked definitive and damned. Well done, lady! Brought tears to my eyes. I loved Tiger Drive. Long after I finished reading it, the characters have stayed with me. Each of the four — gritty and distinct externally –had in common an internal longing and desperate hope for a new start. I loved the tension created by switching chapters between the characters’ voices so that the reader knows what info is missing before each character realizes it — really kept the pages turning! Highly recommend. Read it, you’ll be glad you did. This Is Us in book form. A great read, full of hope. Exceptional writing style/quality for a first novel. Highly recommend. One of those can’t put down novels. Each character had their own goals- both to develop but also achieve selfishly. The author weaved these and their stories together nicely, and I hoped deeply each would find their dreams. This book, as other reviewers have noted, is a real ‘page turner’. The story moves along alternating through the eyes of the main characters. What made it especially compelling is that these are not voices you get to hear very often; those who’ve really been down on their luck for a generation or two; trying to hold together families and make their lives meaningful, when life has taught them that you’ll most likely get a good kicking for your efforts. If that sounds bleak – it’s really not. This book has a fairy tale ending to it – but one that is possible, and that’s uplifting. The characters aren’t sentimental, but we do go on a journey as they discover love and truth. If story is King – then this first novel gets a crown. Just finished my book, TIGER DRIVE by Teri Case. I don’t think I have ever cried so hard at the end of a book. This is a must read! Finished the book. Cried and cried. And cried some more. The English language is full of words. And I could struggle finding some right now. As a book reader- I love the format. The point of view of each person and the book unfolding between present time and the past. I also really loved the quotes to open each chapter. I LOVE the book. My favorite book is Barbara Kingsolver’s The Bean Trees. Because of the hope–Tiger Drive will sit on my shelf by The Bean Trees. Teri Case had me hooked with the opening scene and kept me riveted. Case captures each character’s unique voice with the skill of a seasoned writer, it’s hard to believe this is her debut novel. The subject matter is raw and real – the devastating effect of alcoholism that simmers over the years and finally boils over, leaving a wake of trouble and heartbreak. It’s a story of dreams imagined, dreams shattered and dreams within reach. A brilliant novel. –- Kim Hamilton, author of Accidental Lawyer. Riveting characters and a great read. Definitely recommend it. I couldn’t put it down. Excellently written–there is always hope! I just finished Tiger Drive and have added it to my library. My little library is filled with my keepers–the ones that I will not part with and will read again some day. It was excellent. I was drawn in and did not want to stop reading. I look forward to Teri Case’s next book and the others to follow. I just finished reading TIGER DRIVE, and after wiping my tears, I am writing my review. I’ll be careful to not add any spoilers here, because I’d hate to give away the ending. Carrie is a high-schooler, a worrier, a list-writer (she calls them her “roadmaps to a different life”), and a shooting star to a hopefully brighter future. Her mother, Janice, is a singing star-wannabe, whose poor choices have dulled her shine … but yet she never gives up hope. Harry, the father, is what I’d call a fallen star; he gives us a peek into depression, secrets, sadness … and—in spite of it all—love. And finally, big brother WJ (a star in his own right) … a man full of anger, disappointment, and angst over the fear of being his authentic self. I love this story, which gives a truthful glimpse into family dysfunction, lies, and poverty, and the turmoil that’s created when these issues seep into personal lives. I finished the book in my 3 day weekend…2 weeks ago. I have not posted about it because I have this massive need to do it justice. And I am still searching for the words to do that. I *NEED* to do it justice. It has been a very long time since a novel made me ugly cry. This one did. For all the right reasons. GO BUY SEVERAL BOXES OF KLEENEX! What a roller coaster ride of a story. Characters wanting to do the right thing, but always just on the brink of going over the edge. All along, I was rooting for Carrie, the one person in this family who may be the closest to a future that could actually be realized, but this doesn’t mean I didn’t care about the others, I did, thanks to the layered way we learn their innermost hearts. I commend author Teri Case for not looking away, for being true to her characters and allowing them to make their mistakes, even when those mistakes are trouble with a capital T. She also skillfully renders each of the four characters’ voices distinctly; they’re all believable. This is a heartbreak of a novel, and one that will keep you up past your bedtime just to find out what happens. [Tiger Drive] starts off heavy and the pages start turning. Sometimes you’re rooting for and against a character in the span of five pages. The author does a great job of keeping the characters honest in their horribly flawed ways while leavings small crumbs to their redemption. I read it in 4 nights. Thank you. Mostly set in 1989, Janice and Harry have been married for 30 years, but Harry is an alcoholic and is abusive. They have seven kids, four who still live at home in their “double-wide” trailer (there’s a story there! ), though two are in their late teens and close to leaving. Janice had to give up her dreams when she got pregnant young and still pines for what she gave up. It’s told from a few different points of view: Janice’s, Harry’s, WJ’s (their oldest son who has problems of his own), and Carrie’s (their youngest daughter, who at 17, will be graduating from high school soon and desperately wants to find a way to go to college). Really liked the story, but I thought (view spoiler). It wasn’t enough to bring my rating down to 3.5 (good/liked it), as I really liked most of the rest of it, but it was just enough to bring my rating down that little bit from 4 stars. The abuse at the very start of the book was a bit tough for me, though. I think almost all the characters were pretty unlikable, at least in one way or another, but they were still interesting enough that that didn’t put me off. I guess most of them had some redeeming quality of some type and/or the reason they were the way they were was explained. I also enjoyed the 80s references! Tiger Drive by Teri Case is a work that defies classification. It is, by turns, a story of hope and despair, victory and defeat, loves lost and found. It may seem like a cliché to say that you will laugh and cry as you view the world through the eyes of Harry, Janice, Carrie and WJ, but you will feel that and much more. “Dysfunctional” isn’t a big enough word to encapsulate the Sloan family. They are the people society is quick to dismiss, disregard and discard. Hope probably shouldn’t live on Tiger Drive, but miraculously it does. Case delivers a gripping story, with complex and incredibly diverse characters. On the surface it may seem that you don’t have a lot in common with the Sloans, a white-trash trailer park family, but in truth they embody the true human condition—the fact that we all have the capacity to love, hate, encourage, and disappoint in equal measures, and that what truly makes the difference is our ability to carry on in the face of despair. You don’t know me, really, but I am a teacher. I run our after school opportunities, so I spend all of my time with the Carries and the WJ’s of the world. I just want to tell you, as I sit here crying, how incredible this book is. This is their story–I hear it all of the time–but reading it was so powerful. It immerses you into the reality do this “fight or flight” life, and I couldn’t stop reading it. You’re such an awesome lady- I’ve helped a lot of young people write essays for your scholarship, so I feel humbled by being able to read this. I can’t wait to share this with everyone I know. Thanks for being a world changer! I just finished one of the most important and eye-opening books that I have ever read. 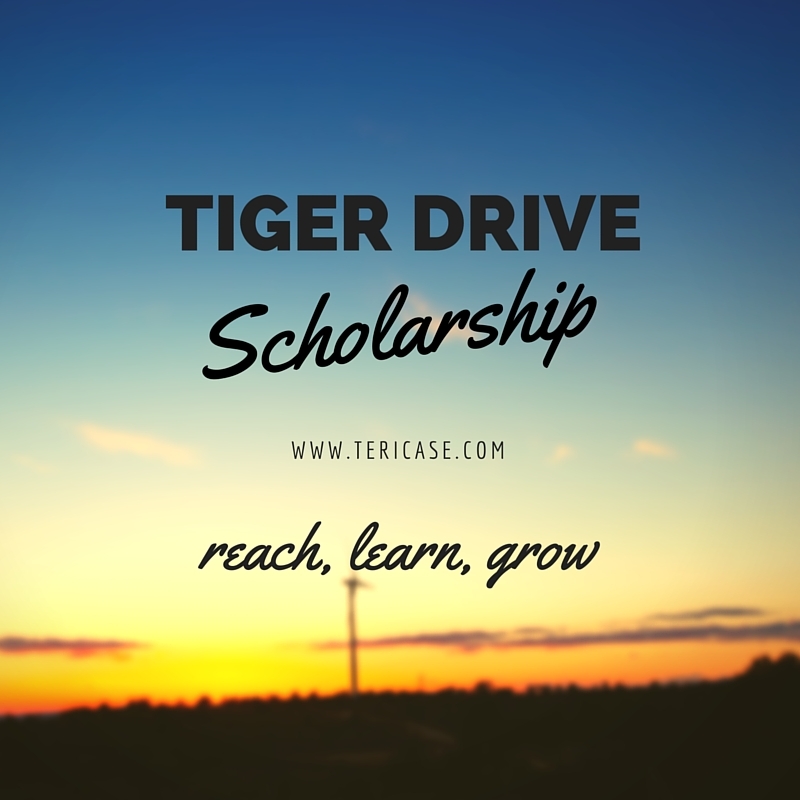 As an educator- Tiger Drive by Teri Case is an incredible opportunity to understand generational trauma, poverty, and addiction and it’s impact on the youth that we are working with. It challenged me to look at my own experiences, my own privileges and how they sometimes get in my way of seeing how young people and their parents come from a different place than I do. This book is impossible to put down- relevant to everyone’s lives, and beautifully written. I urge you to go buy it, read it, and talk about it with anyone who will listen. Buying this book will not only expand your own understanding of our world, but it will also directly impact opportunities for the Carries in our school who receive scholarships from this awesome author (many recipients have been students that I know and love). Read it! A heartbreaking, but inspiring, story of a family on the brink. In her stellar debut novel, Teri Case tells the story of a family on the brink of falling apart. Harry believes his family would be better off without him, Janice is about to abandon them to fulfill her own dreams, and WJ is one mistake away from losing his freedom. Only Carrie seems to have any kind of concrete plan for a better future. But when the unthinkable happens, the family must find a way to pull together to save one another. This is a gritty story of a group of people careening towards rock-bottom. It’s one of those books that’s hard to read when things get desperate, but infused with enough hope and human spirit that you have to keep turning to the pages to see how the characters will survive. I highly recommend this for fans of Liane Moriarty and Bryn Greenwood.